This is the second in a series of blog posts discussing the collaboration of the Collab Lab and our EG Ed Prep students. Please follow along on our journey using the hashtag #214EdPrep or clicking on the label #214EdPrep in the word cloud! Students in the District 214 Ed Prep Program will be competing in an "impromptu lesson" challenge among students from other schools. For this competition, they will placed in groups to develop a lesson plan on a given a topic. The Collab Lab will be following along and supporting our EG students through this process. To give students ideas for this lesson, their teacher Kim Sander and I decided to provide the class with "Spark Sessions". As a staff, we have used Spark Sessions at numerous teacher-led Institute Days to provide new instructional ideas, feedback methods, and brainstorming tools for teachers to use in their classrooms. We figured a similar process would help ignite lesson ideas within the students. On the first "Spark Sesson" day, I presented students with two different modes of formative assessment: Classkick and Socrative. To begin, I had students enroll in a Classkick activity (code: QGT VY4) composed of Math, Human Geography, and English questions. To learn more about the uses of Classkick in the classroom, view this previous blog post. Once students had experienced the open-ended feedback of Classkick, I had students log in to my Socrative Quiz. This formative quiz consisted of Math, English, History, and Science questions all at the third grade level. 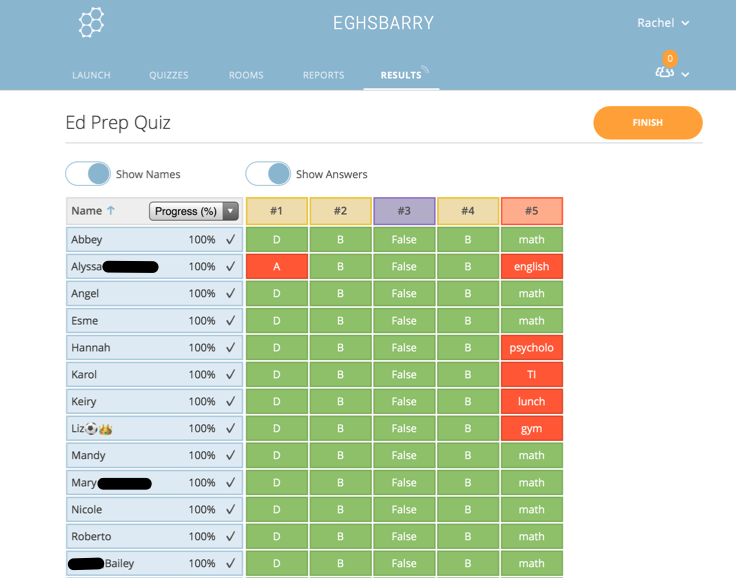 View this blog post to see how Socrative can be used to provide immediate feedback to students. "I really liked the Classkick and how you could have the students working and doing different problems while the teacher is helping other students and checking answers at the same time. I think it will be good for warm up problems as well as review for quizzes." "I think in my future classroom I will use classkick for warm ups or formative assessments. I think it is effective and refreshing for students. It also provides an easier method of multitasking possibilities for the teacher." "I could see class kick being used really well for certain subjects. And socrative useful for others. Both have ups and downs in the class room but both are useful." - "I think in the future I would use class kick because I think it is good way to have kids do work at their own pace and get help when they need. It helps shows the teacher what students still need help on."